Other than seeing the odd episode on TV, my working knowledge of the cult classic series that ran for 9 seasons from 1968 to 1977 is very limited. My impression of it was fun, silly, with a bit of that cheeky, off-colour humour you might have seen in the Carry On films, but toned down for TV. If the 2016 remake is anything to go by, my assumptions were fairly on point. However, the film seemed to hold back in almost every way – there was slapstick humour, cheeky innuendo, and other general silliness – but it never made it outrageous enough. When they introduced the ‘spy amongst us’ element, there was neither enough tension nor did they effectively make use of the manipulative femme fatale angle. The tone shifted like an out of control rollercoaster, giving the film an unpolished feel, despite the talented cast. This is it men, our chance to play a real part in this war. 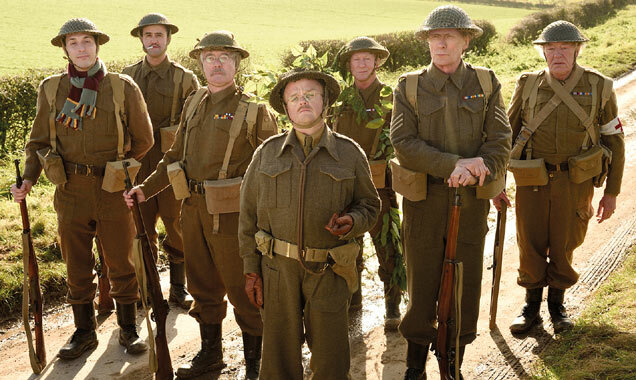 The men of the Home Guard platoon, led by Captain Mainwaring (Toby Jones), in the (fictional) town of Walmington-On-Sea, spend their days chasing escaped farm animals and running drills. They are not the bravest, most intelligent, or competent men to have ever served their country, but their time is about to come. When an attractive reporter, Rose Winters (Catherine Zeta-Jones), arrives to feature the platoon in a magazine article, the men find a bit of pep in their step. As Rose ruffles feathers throughout the town, MI5 picks up a radio transmission to Germany from the nearby area. Can Mainwaring’s men find the spy before England’s war plans are scuppered? You just slipped her a sausage! There were definitely moments of solid comedy amongst the drudgery of a predictable and stale story. The cinema, full of patrons who were, for the most part, a good 40+ years older than myself, often erupted in laughter. But the laughter was mild. There were no outbreaks of giggling fits bringing the audience to tears – and that had nothing to do with the nature of the viewers. When the film did work, it embraced the silliness of slapstick or overt sexual references. Too often though, it held back, not wanting to go too far into the realm of the ridiculous. I have to wonder why, when from the premise to the jokes that did work – the film is overtly silly. If it had leant into the stupidity, it could have been brilliant. As is, the film falls flat, producing only a handful of half-hearted laughs. Parody and satire should have been at the core of this film. There is a brief moment of outlandish German caricature but the style is quickly dropped, never to appear again. A similar suggestion that the higher ups of the British military are all privately educated, upper-class toffs is also so gentle it never quite manages to lampoon the issue. Each member of the platoon is given a defining characteristic (something that appears true to the original), but again they don’t lean into this construction nearly enough. This is especially the case with Michael Gambon’s portrayal of doddery Private Godfrey – each time he is used, he’s a joy to watch. So why use him so little? Why not use each of their quirks as part of both the set-up (how they ruin the operation) as well as an over-the-top part of saving the day? Instead, the set-up is weak and the conclusion even worse. Have you brushed your teeth, my angel? 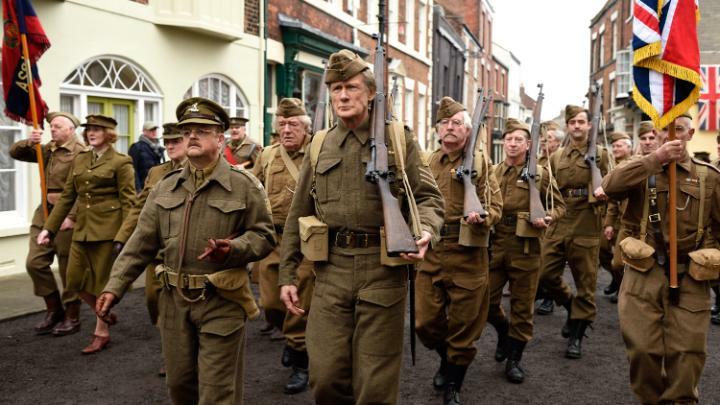 The one piece that makes Dad’s Army a passable film is the stellar cast. Catherine Zeta-Jones as the hot femme fatale works, because, let’s face it, she really is one of the most stunning women to have ever walked the planet. Yes, that’s me admitting to loving the lingering shots of her bum as she struts down the main street. 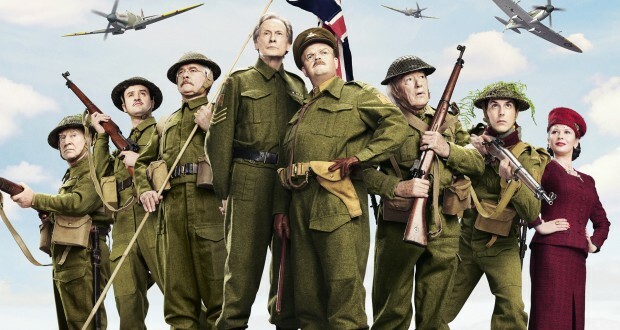 The cast of characters in the platoon is comprised of British greats: Toby Jones, Bill Nighy, Michael Gambon, Bill Paterson, and Tom Courtenay. Supporting them are equally well-known actresses like Alison Steadman and Felicity Montagu, as well as the ever-brilliant Mark Gatiss. But all of these talents are utterly wasted in the film. The script never gives them scope to deliver performances worthy of anything more than daytime television. Verdict: Disappointing, forgettable, and entirely missable. This remake of a cult classic fails to find its voice or make anyone let out more than a tiny chuckle. 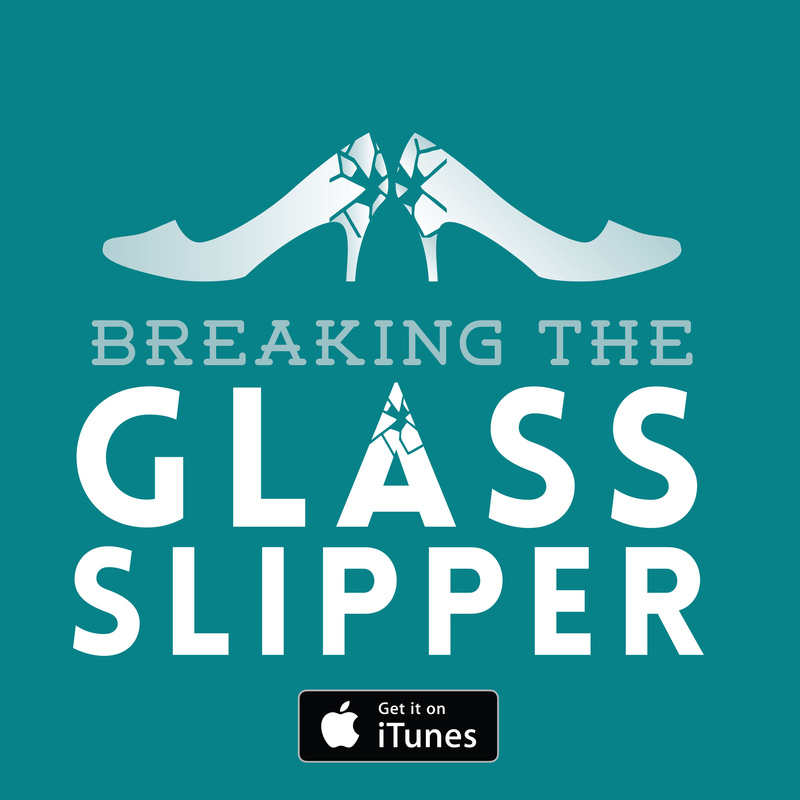 I love your review – but I also really loved the film !